Fabulous photos! Do you mind me asking what camera and lens you use? Thank you. My best friend is a Canon EOS 6D. This looks so good! Do you mind if I share it? I knew I had forgotten something on my shopping list – it was grapefruit – thanks for the reminder – your salad looks very tempting. A wonderful salad! These flavours go so well together. Oh I have to try this looks delicious! Looks delicious! I’ve never heard of lamb’s lettuce before but I want to try it! Looks like I could substitute spinach and it would still be tasty. We love fennel and (insert veggie or fruit here) salads. It’s the perfect sort of mix of creamy and crunchy and fresh. Good pic! 👌and amazing idea for a salad! The grapefruit salad looks amazing. Oh this sounds so fresh a delicious, what a great combo! A beautiful starter idea for a dinner party! Noting it for the future, thanks for sharing! Thank you, maybe spinach or iceberg salad would work. I am so glad I found your blog. What a yummy sounding recipe and your photographs are beautiful! Sounds simply delicious! Perfect for the new year. mmm. . . this looks wonderful. The combination of ingredients sounds really good. Great pictures, great looking salad. I’ve got to try this now. Dressing sounds amazing with the cardamom. Thanks for liking my post. Will return to your blog often. So fun! Thanks for this recipe. 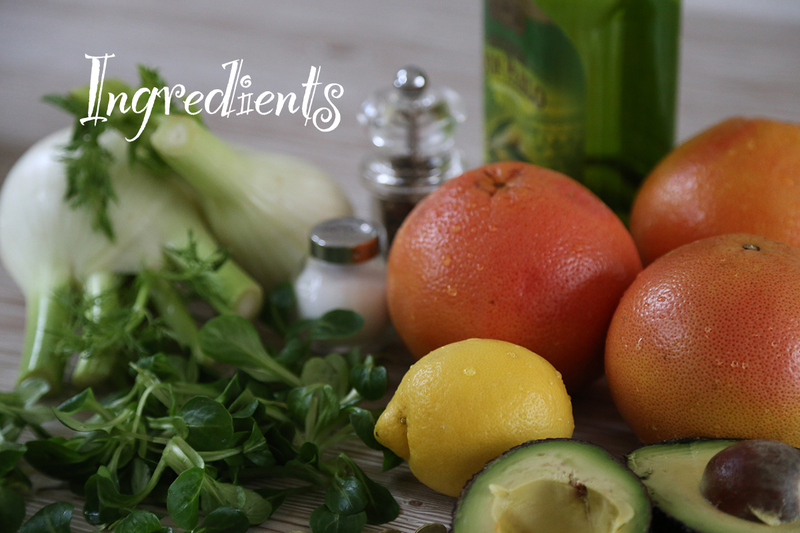 I also wrote few days ago a recipe of a salad with grapefruits and avocados. I love it ! Thank you also for this lovely blog ! See you soon ! GREAT photograpy!! And I like the recipe. Love the photos! Looks delicious! Thank you for stopping by my blog and liking a post. This recipe looks great. I make a similar grapefruit salad without the fennel and will have to try this. Congrats on a lovely blog overall. I’ve enjoyed exploring it. this salad looks amazing! I agree with everyone, your pictures are PERFECT! I am going to try this. Looks like a very yum n healthy salad! Omg delish! Your photos are beautiful and this recipe looks so yummy! I Love your blog! Getting lost here for a bit! So refreshing! Love the combination of flavors here! #mrstwinklecom #supherblendz connect from my home page.